Christmas is supposed to be a time of 'Comfort and Joy,' a time when our days are 'Merry & Bright' and our nights filled with 'Heavenly Peace.' More often than not, however, these end up being the most hurried, busy, and chaotic days of our year. Take some time to PLAN & PREPARE before even beginning tasks surrounding Holiday festivities. Do your best to 'batch tasks' into small easy-to-complete steps that can span over a few days. This will serve to keep you from feeling overwhelmed and will guarantee to keep you more productive in the long run. 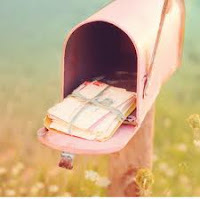 *Some services like Shutterfly and SendOutCards will take care of steps 2-8 for you! 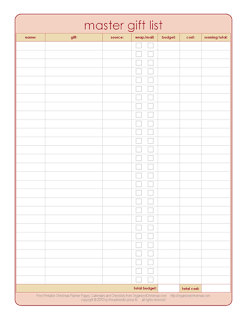 *Click on image above to print your own Master Gift Checklist. Try to limit your holiday parties and activities so that you and your family are not overwhelmed. A couple of events a week may be fine, but having an obligation every day can quickly lead to Holiday stress and anxiety (especially in children). Choose a few of your favorite activities as a family and don't feel as though you have to attend each and every celebration you're invited to.